Titled after James Joyce's novel, whose events famously unwind on a single day, Spencer Finch's new work in Marfa (10 October – 4 January 2015) is a conceptually condensed chronicle of one day's journey, recorded as a series of fleeting colour sensations. Finch's art has long explored subjectivity and perception, tackling the mystery of what we see and what we know. Seemingly precise and yet quixotic in his approach, Finch sets for himself impossible challenges of representation, working to capture ineffable temporal and sensory experiences, often with the most humble of means. 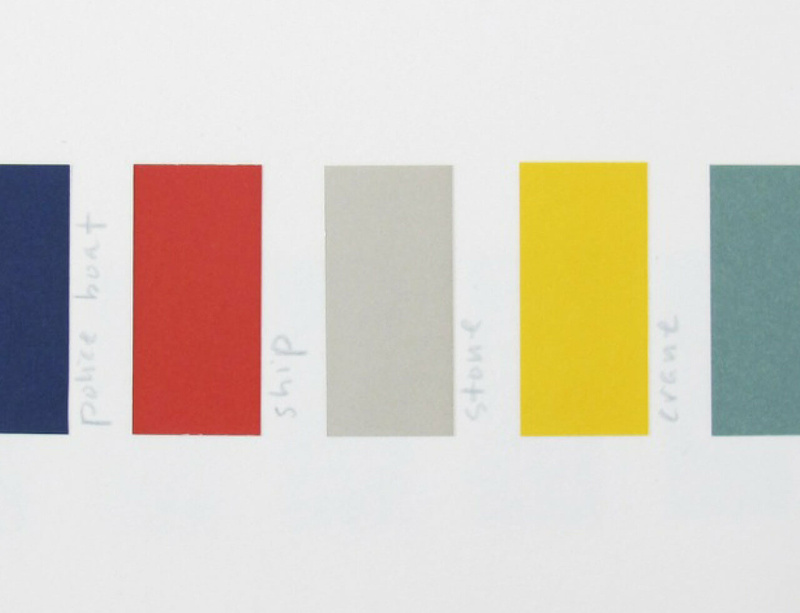 In Ulysses (September 19), 2014 a day of wandering is documented by a vast progression of color swatches - colors that Finch 'sampled' from his environment using the commercial color-matching system Pantone. With his home city of Brooklyn standing in for Leopold Bloom's Dublin, Finch spent from morning until night, color guide in hand, extracting and abstracting colors from his surroundings. Arrayed in the gallery, the shifts in hue and tone stand in for the artist's physical motion through the urban landscape but also for the movements of his thoughts: the constant shifts in mental direction and attention, inflected by mood and circumstance. Taken as a panoptic whole, these fragments of the day constitute a dazzling, chromatic stream of consciousness.